Cost to install sod varies greatly by region (and even by zip code). Get free estimates from landscapers in your city. Cost to install sod varies greatly by region (and even by zip code). The cost of installing sod in a standard 8,00 sq.ft. yard averages $5,500. Instead of planting seeds and waiting for them to grow, installing sod is a quick alternative to a lush yard. For this example, we’ll consider the cost of installing sod in a standard 8,000 square foot yard, which averages $5,500. 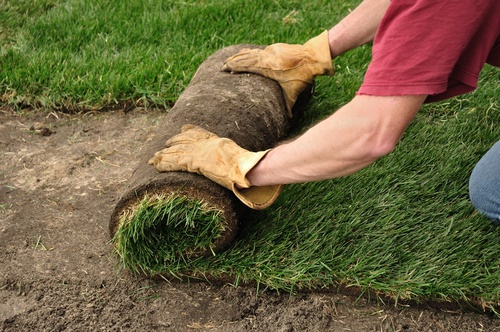 Sod can be installed on your own, but hiring a professional is always recommended. Most landscapers charge installation fees based on the size of the yard, not by the hour. On average, plan to add $0.25-$0.60 per square foot for labor fees. If you lawn needs to be graded 2, it can add another $1000-$2000. Soil prep, such as spraying nutrients and removing rocks and debris, can add another $0.40-$0.60 per square foot, depending on how much work needs to be done. Spraying fertilizer on the laid sod adds another $50-$100. If you want an irrigation system 3 that maintains your sod, it is recommended that it is installed before the sod is laid. Installing an irrigation system 3 averages $1000 in a bare yard and $1300 in a yard where sod is already laid. 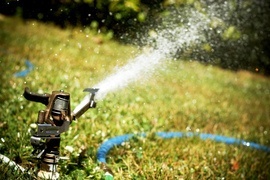 A sprinkler system 3 is more expensive, since it costs $2500-$3500 on average. Removing and disposing of old sod or landscaping can add an additional $1000-$2000 to your total and two to three days to your project length. If installing the sod yourself, you’ll need to rent a sod roller for around $40-$60 per day and a sod cutter for $70 a day. 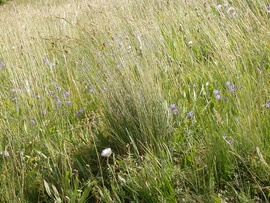 Sod should be installed in the spring or fall and may have problems growing if laid in the winter. Some sod companies offer free delivery within a certain area of their store, while others may charge a delivery fee of $50-$100. Price per square foot tends to be lower in yards that are flatter and larger, as it is easier to install. Yards with big hills or an unusual shape are more difficult for sod installation, which may raise the overall price. 2 Graded: The process of evening out the ground's surface, making it either flat or sloped. How much does it cost to install sod in my city? Cost to install sod varies greatly by region (and even by zip code). To get free estimates from local contractors, please indicate yours.